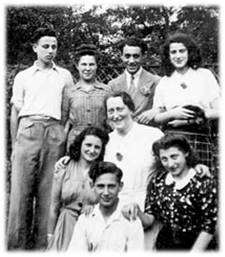 In early 1938, Lisa Jura, a young Jewish girl in Vienna, determined that one day she would become a concert pianist. In March, her dreams were shattered. German troops took over Austria, her homeland. She became a refugee, one of about 10,000 children brought to England before World War II as part of the Kindertransport—a mission to rescue children threatened by the Nazis. 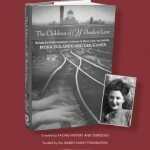 Lisa's story became the centerpiece for the book, The Children of Willesden Lane, written by her daughter, concert pianist Mona Golabek, and poet Lee Cohen. This week, it will be the focus of educator workshops here in Los Angeles, and in November Mona is bringing her performance, The Pianist of Willesden Lane, directly to Los Angeles students. In sharing more from Mona, Lee, and The Children of Willesden Lane on this blog, we invite you to share your own response to Lisa's story, how you may teach it if you are an educator, or the connections made by your students. 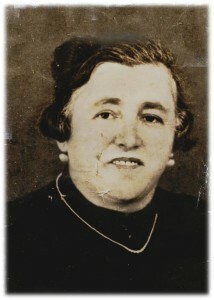 After surviving the Holocaust, Lisa Jura taught her daughter, Mona Golabek, to play the piano. 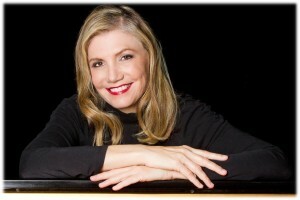 Mona is now an author, recording artist, radio host and internationally-acclaimed concert pianist. A Grammy nominee, Mona has received numerous awards, including the Avery Fisher Career Grant and the People's Award of the International Chopin Competition. This year, she has been performing The Pianist of Willesden Lane to audiences in Los Angeles, New York, San Francisco, Boston, and San Diego. "As long as I can remember, these precious words have accompanied my journey through life. They are the last words spoken by my grandmother to my beloved mother, Lisa, at the Vienna train station in 1938 as hundreds of crying children said their good-byes forever to their parents and boarded the Kindertransportto escape persecution by the Nazis. "My mother started teaching me the piano when I was four years old. She told me fantastic tales of that journey from old-world Vienna to a rambling orphanage at 243 Willesden Lane in London. She spoke about mysterious individuals like Aaron, Johnny “King Kong,” and a Mrs. Cohen who became a mother to thirty orphans, and Hans, the blind boy who waited faithfully each day for her in the basement of the hostel where she practiced the piano as the Blitz ravaged London. "I became a concert pianist because of those words and stories, and because of my mother’s passionate connection to music. Every piano lesson with her was a lesson about life, about love, and about faith. "Twenty years ago, my mother was finally able to show me the photograph that my grandmother had given to her that fateful day at the train station. On the back in shaky handwriting was written the following: “So that you will never forget your mother. . . .” I was so overwhelmed by the love my grandmother showed in sending her daughter away, losing her forever to save her, that I vowed to share this story with the world. "I hope the strength and joie de vivre my mother showed as a teenager, studying at the London Royal Academy of Music, playing the piano for the soldiers, and ultimately facing the terrible truth of the Holocaust, will be an inspiration for everyone." Lee Cohen is a journalist, screenwriter, and poet living in Los Angeles. Since this was not a family story for Lee, we wanted to know more about how he got involved and how he now views the significance of sharing this story. Facing History: How did you get involved in this project? What was your role? Lee: Almost 15 years ago, Mona and I began working together on this book. For her, it was a passion, an obsession -- driven by the stories her mother had told her since she was a child. I always felt it was my job to bring objectivity to the story: What were the realities? What was “folklore” and what was true? Who were these children? How did they really see and know Lisa? The task encompassed hundreds of hours of research and interviews, journeys that took me through Vienna and London, walking in Lisa’s footsteps, conversations that changed my view and ultimately enforced the vision that indeed, Lisa Jura possessed a special force and direction that empowered her own direction and inspired so many. What did you learn in the process of working on Lisa’s story? Lee: I found that the other stories I heard, the other kinder, each had their own unique stories -- that every child that said goodbye to his or her parents and left their homes had a different experience, a different way of looking at their past and how it shaped their future. These were children whose lives and circumstances were formed by the shattering events of world history; children forced into new environments, different cultures and into adulthood. Mona has performed The Pianist of Willesden Lane all over, including two runs at our local Geffen Playhouse. Why do you think this story is resonating for so many people today? Lee: As the years have passed, I know that both Mona and I have observed that what contemporary kids are dealing with is not so different. Many of our children live in a world today where homes are fractured, neighborhoods are war zones, classrooms are crowded. For even the more fortunate, economic security, the job market, the environment -- all present an uncertain and indeterminate future. Ultimately, Lisa’s story and the stories of the children of Willesden Lane are the story of a community of young people -- one of trust, hope, inspiration and perseverance. Their mutual love and respect brought them through perhaps the greatest tragedy of modern history. Our dream is that perhaps, through our book and its study, contemporary students can begin to create a better, kinder, more tolerant world for themselves -- and for their children. There is some controversy around the Kindertransport. Families were separated. Parents had to make the excruciating decisions about which child to send, and whether their child(ren) would be better with or without them. Britain accepted children but not their parents. The United States did not accept Kindertransport in the same way, though there were individual children rescues. Some young people were mistreated once they arrived in their new country. Even those who were received into good homes had a difficult time. 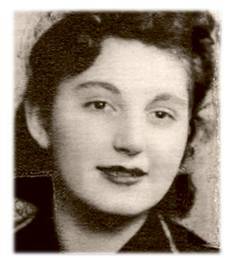 After researching Lisa’s story and the time period, what are your thoughts now about the Kindertransport? Lee: To me, the Kindertransport -- supported and sponsored by such noble factions as the Quaker community, the Red Cross, individuals like Nicolas Winton -- was a singular and important statement that so many in the world then and now were not ready to take up. One only has to look at the horrifying reactions of so many Americans to today’s refugee children on our border to understand the bravery and exceptionalism of what England took on at such a treacherous time in their own history. Was the system fair to all children? No, it was too vast and complex and came at such an unpredictable time -- but the intent and compassion that fueled it should rightfully be its legacy. The Children of Willesden Lane can be taught to help students understand the impact of the Holocaust on families and individuals. It provides an example of the power of music to provide a voice, tell a story, and build resiliency. Students quickly discover that this is not a Jewish story or a German story, but a human story – a story of identity, belonging, courage, and memory to which we can all relate. Classroom videos of teachers teaching the book and music have now been added to Facing History's website to help teachers who are engaging students with the book and performance. Facing History's Study Guide for teaching The Children of Willesden Lane is available free and includes historical context, lesson ideas, and journal prompts. 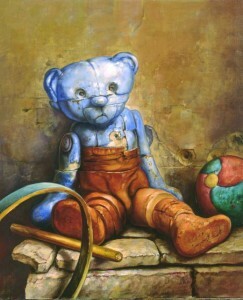 Interruptions painting by Sam Bak and related lesson uses visual arts to explore the impact on children. A reading and lesson plan is available for one of the Kindertransport rescuers: Nicholas Winton. The Academy Award -winning documentary film: Into the Arms of Strangers shares the history of the Kindertransport and the stories of other children. Holocaust and Human Behavior provides an interdisciplinary approach to citizenship education. Students move from thought to judgment to participation as they confront the moral questions inherent in a study of violence, racism, antisemitism and bigotry. The readings and activities explore the consequences of discrimination, racism, and antisemitism by holding up "the tarnished mirror of history" to one of the most violent times in world history -- the 1930s and 1940s. Hold On To Your Music. Inspired by the life of Lisa Jura, Hold On To Your Music seeks to expand awareness and understanding of the ethical implications of world events such as the Holocaust, and the power of the arts, especially music, to embolden the human spirit in the face of adversity. They do this through a book-gifting program and other initiatives. Los Angeles Museum of the Holocaust. This Holocaust survivor founded Museum at the heart of the city in Pan Pacific Park offers free tours which explore Holocaust History through artifact-based inquiry and dialogue with Holocaust Survivors. A special exhibit is opening soon on the Kindertransport. 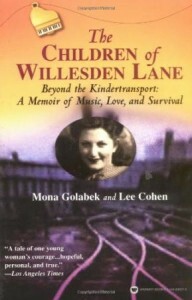 IWitness from USC Shoah Foundation has incorporated the music of Mona Golabek into an activity on the Kindertransport. IWitness includes over 1300 Holocaust survivor testimonies which students can view and use in guided student projects, including survivor testimony from others on the Kindertransport.